Major Harding Cox in his Dogs and I, Hutchinson, 1928. 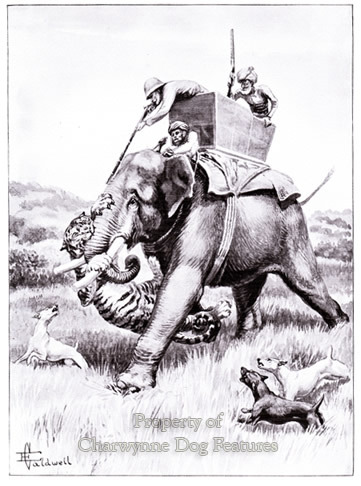 GP Sanderson writing in his Thirty Years among the Wild Beasts of India of 1896 gave a powerful recommendation for the breed: “Previous to the time when my duties led to my living entirely in the jungles, I always kept one or two good bull-terriers for encounters with jackals, wild cats, etc. 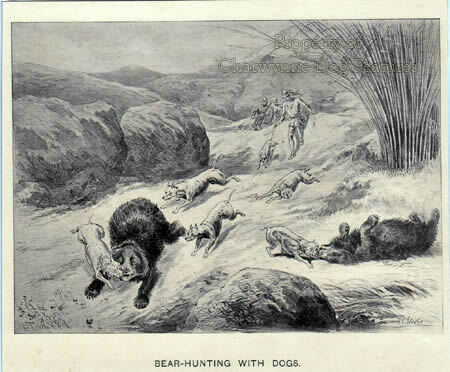 On the few occasions when I had the chance of using these dogs at formidable beasts they so distinguished themselves as to impress me with a high opinion of their prowess, and of their ability to overcome larger animals than might be thought possible.” Nowadays we have a very different view of hunting big game, and rightly so. But we should never underestimate the courage of the dogs used in such conflicts. 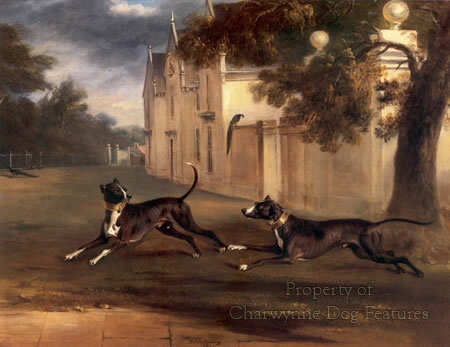 And, of course, this breed has long been famed as a ratting terrier and is a major ingredient in most Bull-Lurchers. I go to 'alternative' dog shows, unlicensed by the KC, and see what are termed 'Irish Staffies' and they look exactly like the old prints of our renowned Bull Terrier. Lyndon Ingles of Tredegar has kept the faith and perseveres with the classic type of white Bull Terrier; his dog, aptly named ‘Hinks’ is as good a specimen of the breed as you are likely to find. 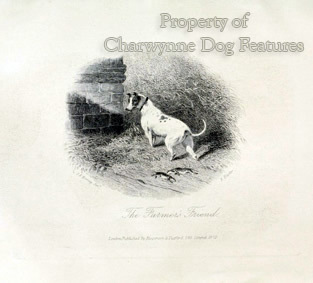 This breed used to be owned by gruff characters, who didn't set much store on conforming - just as bull-and-terrier owners didn't in the 19th century! 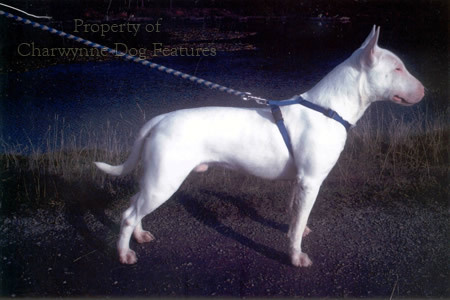 Our Bull Terrier is a very special English breed and it is being ruined by a bunch of misguided show breeders, who have no regard for the breed's classic physique and truly typical head. How can any rational person, especially an alleged lover of that breed, justify the imposition of a sheep's head on a dog's body? It isn't traditional; it isn't an improvement, if anything it is a deformation, a disfig urement. It is an outrageous liberty taken by faddists and condoned by the KC. Any admirer of our native breeds of dog, especially one as characterful as this one, should frown when they see this travesty, this parody being paraded as the real thing. Come on, terrier-men of England, let’s put this right! Show breeders seem to overlook the fact that their breed was once very much a sporting terrier - long before it was a fighting dog. It is not right to perpetuate the gladiator and not respect the field dog. 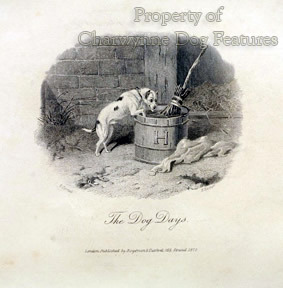 There is an abundance of antique prints and old paintings which depict the bull-and-terrier in action in the field. Breeders need to look at the American Pit Bull Terrier to spot the genuine anatomy for the pit; whatever their misuse by man, this breed resemble powerful canine athletes not waddling brutes. They are in fact more like the old depictions of the bull-and-terrier ancestors of the contemporary breed of Bull Terrier than the show Bull Terrier. There is a vital question for show breeders of Bull Terriers to answer: which do you want your breed to resemble, the fighting dog or the sporting dog? We need to restore the Bull Terrier of England to its rightful form.